This is the first of hopefully many editorials from one of Oprainfall’s Editorial Heads, Jeff Neuenschwander. 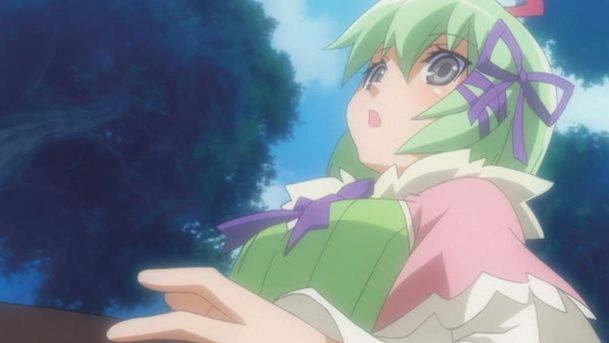 The series will focus on many aspects of video games and anime. The musings posed by the author are only his, do not reflect the opinions of the Oprainfall staff as a whole, and are meant to create an open dialog with readers. Enjoy. 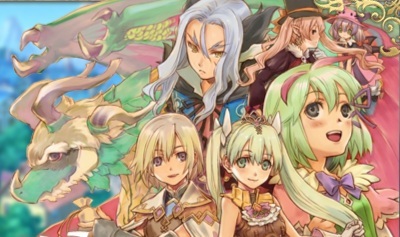 Back in November, we ran a post about how XSEED wanted to localize Rune Factory 4, the newest game in the Harvest Moon spin-off series. During that time, I got into a little discussion with a user with regards to why XSEED shouldn’t be allowed to localize it. First off, nothing has been confirmed, whether it is Natsume localizing the game or not. Second, Natsume is not the only North American publisher of Rune Factory games. Third, Frontier was very good and was done by XSEED. In a way, the user sounds like one of those fanboys that raged when Bayonetta 2 was announced for Wii U only. But the user is right about something and gives me a good launching point. Natsume HAS done a fine job localizing the Harvest Moon and Rune Factory games. I can’t argue with that. I’ve played both Frontier and Tides of Destiny and, while each game has gameplay aspects that bug me (not the fault of either XSEED or Natsume respectively), I found the localizations of both to be well done. But to say that Natsume should be the only one that publishes these games is like saying that Bayonetta 2 shouldn’t be a Wii U exclusive because the first game wasn’t on the Wii – which, in turn, is like saying that Final Fantasy should only be on Nintendo consoles because the series started on the NES. Stuff happens, things change. Flash forward to January 31st. XSEED announces that they will localize Ys: Celceta, Valhalla Knights 3, KILLER IS DEAD (Woohoo, though slightly disappointed that it’s not a Wii U game), and – of course – Rune Factory 4. Now, I’m not going to stand over here and gloat about how the user got it wrong – I will however gloat about this (I’VE GOT 2 RIGHT SO FAR!). But I do have an explanation as to why it happened. Harvest Moon was created by a company called Pack-In-Video. Pack-In-Video would merge with Victor Entertainment to become Victor Interactive Software. They would then be acquired by Marvelous Entertainment, which would then merge with AQ Interactive and Livewire to form Marvelous AQL. Marvelous AQL pretty much owns the rights to both Harvest Moon and its spin-off Rune Factory. 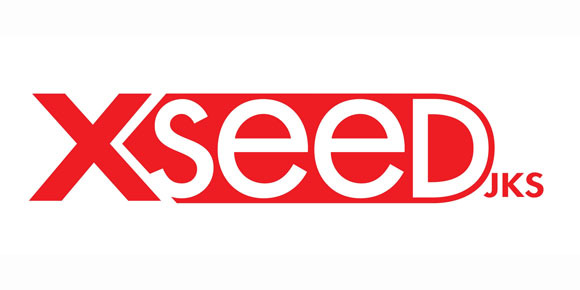 Marvelous AQL just so happens to be the primary owner of localization company XSEED Games. Therefore, from a logic standpoint, it makes sense that Marvelous AQL wants to keep the game in-house and let XSEED localize it. Now, I’ll never claim to know what the business standpoint would be. I don’t know what Marvelous AQL would have received from Natsume had they localized Rune Factory 4 as opposed to what they will receive with XSEED localizing the game. I’ll leave that with the parent company. But a precedent is emerging between Marvelous AQL and XSEED. Valhalla Knights, originally developed by Marvelous Entertainment, has been a mainstay in XSEED’s gaming line-up since the first installment. Half-Minute Hero was developed by Marvelous and localized by XSEED as well. And since AQ Interactive had a hand in developing The Last Story, who else besides Nintendo and XSEED could’ve had a claim to localize this game? Now, that doesn’t mean that everything that Marvelous AQL touches will be localized by XSEED. After all, I get the feeling that Ubisoft may have something to say if a third No More Heroes game pops up. However, I think we’ll start to see a shift in where a game starts getting localized, particularly with companies in XSEED’s position. But what happens now with Natsume and Harvest Moon? But where does that leave Natsume? The long time publisher of the Harvest Moon series looks to be on the outs with the Rune Factory series. How long will they even hold onto the Harvest Moon license before Marvelous AQL passes it to XSEED? Would Marvelous AQL even do that to begin with? For Natsume, the unfortunate nature of modern game localization is this: XSEED has an inside track with being under the Marvelous umbrella while Natsume is alone in the rain. Their future in this business is cloudy at best. At any moment, Marvelous could move Harvest Moon to XSEED, taking away Natsume’s major license since the Super Nintendo. What would Natsume have without the Harvest Moon series? Reel Fishing? Yeah, real nice. Lufia? Okay, I’m sure that new installment will be revealed any day now. Gabrielle’s Ghostly Groove and Monster Match? They would be better off dumpster diving than depending on a campy Halloween-themed series. They need something to legitimately fill that void. And there is reason to be alarmed, particularly if you work at Natsume. In this new economy, almost nothing is sacred and nothing is too big to fail. You don’t have to look much farther than at THQ and what they’re going through right now. They were one of the 4 big publishers as recently as last year. Now, they’re literally nothing. So, to XSEED, congratulations on staking a claim to all of our money with the awesome localization announcements of the past month. You guys definitely earned it. However, to Natsume, keep your wits about you and be ready to jump on anything. Pretty soon, you’ll need it more than you know. Next Post:UPDATE: oprainfall is Looking for Volunteers, Do You Want to Join Us?